Carousel Event homeOur reviewCustomer reviews HamiltonThe PromNetworkTo Kill a MockingbirdKiss Me KateHadestownOklahoma! 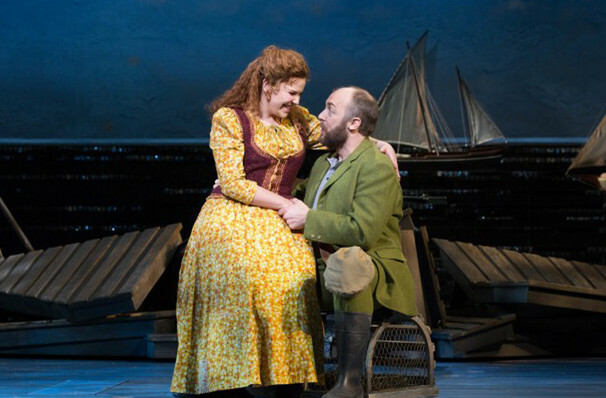 The real spinning carousel in this production is love. That, for better and worse, is what makes nature churn - and the world go round - in this show's blissful, anguished universe. 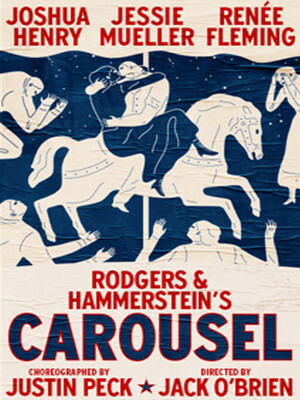 Rodgers and Hammerstein's sweeping Carousel heads back to Broadway, with Tony winner Jessie Mueller (Beautiful: The Carole King Musical, Waitress), Tony nominee Joshua Henry (Violet, the national tour of Hamilton), Margaret Colin, Alexander Gemignani (Hamilton) and opera superstar Renee Fleming. 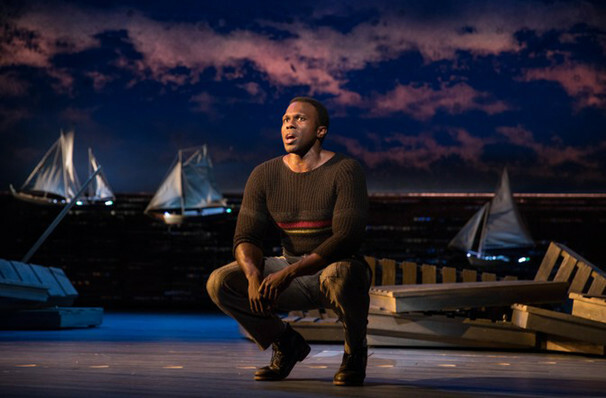 One of the finest musicals of Broadway's golden age, and Richard Rodgers favorite of his own works, Carousel is a top to bottom crowd-pleaser, a musically sophisticated show that spans both decades and dimensions. Among the scores many iconic numbers are 'You'll Never Walk Alone' and 'June is Bustin' Out All Over'. 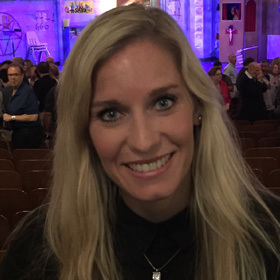 The story centers on the destructive but ultimately redemptive romance between Billy Bigelow and Julie Jordan, that continues even after Billy is dead. 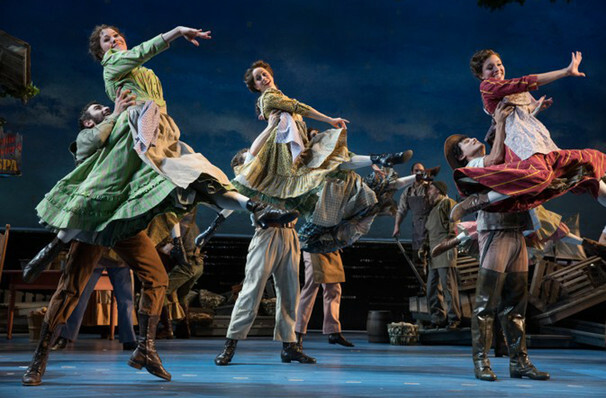 Helmed by Tony winner Jack O'Brien (The Front Page, Charlie and The Chocolate Factory), this brand new production boasts choreography by New York City Ballet's Resident Choreographer Justin Peck, who promises "an even more dance-and-movement-focused production." After a whirlwind romance, hot-headed carousel barker Billy Bigelow and factory worker Julie Jordan tie the knot, but not before they both lose their jobs. Desperate for money, Billy reverts back to his old life of crime, falling in with his pal Jigger Craigin, and together they plot to rob Julie's former boss, mill owner Mr. Bascombe. The robbery does not go according to plan - Mr. Bascombe draws a gun on the pair and Jigger flees, leaving Billy cornered and surely facing a long stretch in prison. Utterly defeated, Billy turns a knife upon himself to avoid capture. 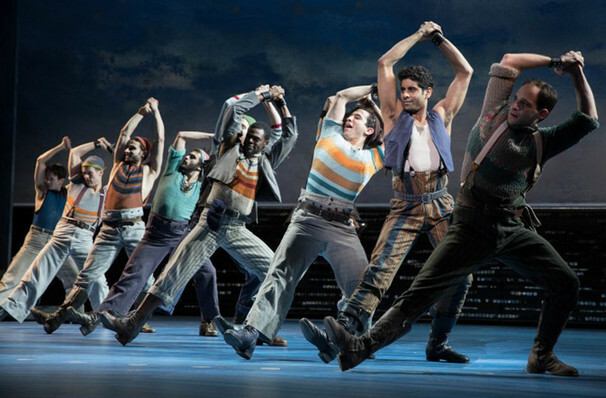 The dance is breathtaking and demonstrates how the cycle of destruction will keep occurring unless a change is made. 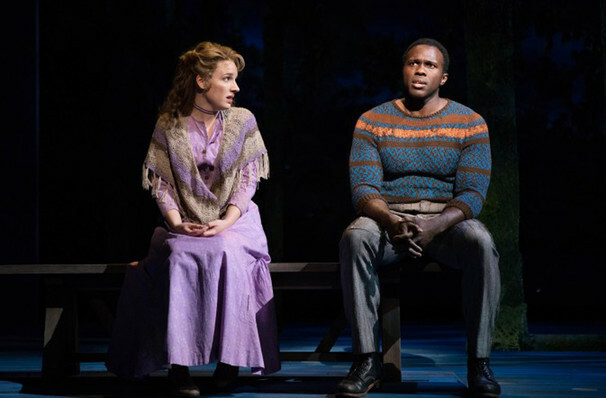 Carousel's return to Broadway could not be timelier - the iconic Rodgers and Hammerstein musical explores domestic violence in Maine in the late 19th century as well as prejudice, jealousy and control. Sound good to you? 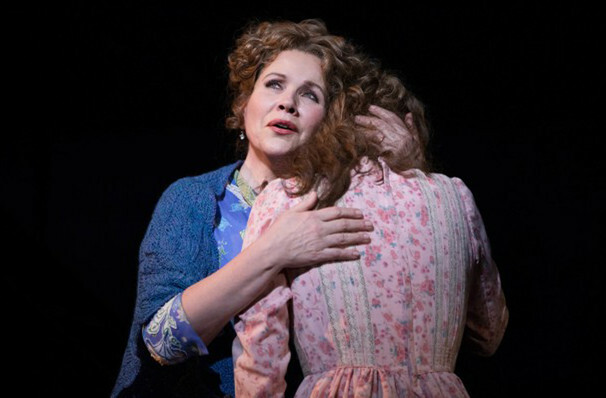 Share this page on social media and let your friends know about Carousel at Imperial Theater. Please note: The term Imperial Theater and/or Carousel as well as all associated graphics, logos, and/or other trademarks, tradenames or copyrights are the property of the Imperial Theater and/or Carousel and are used herein for factual descriptive purposes only. We are in no way associated with or authorized by the Imperial Theater and/or Carousel and neither that entity nor any of its affiliates have licensed or endorsed us to sell tickets, goods and or services in conjunction with their events.